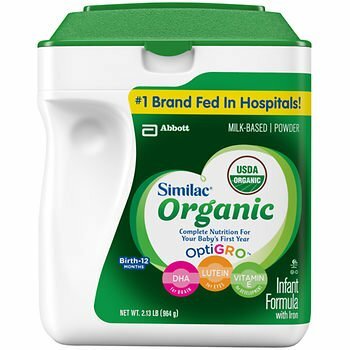 Similac Advance Organic 34-oz. Powder Infant Formula is certified USDA Organic and made with wholesome organic milk and other organic ingredients. It features OptiGRO, an exclusive blend of important ingredients found in breast milk: DHA, lutein and vitamin E. America's #1 baby formula brand, you can be sure your baby is getting organic, complete nutrition from birth to 24 months. * Best yet, you'll enjoy 45% more powder formula in this club-size container.